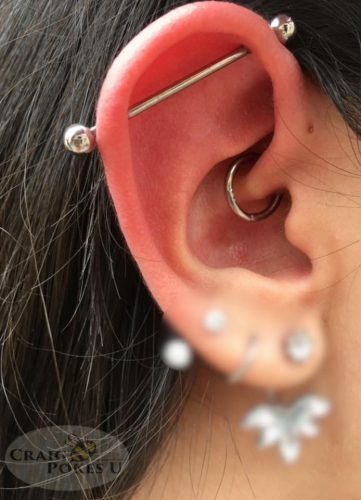 This client was a trooper, getting her Industrial and Daith done in the same day. She chose two keep it all in the clean and clear High Polish Titanium and Niobium setting for them, respectively. Happy healing!